Dr. Cliff Deveny will serve as Summa Health system's interim president and CEO and is "absolutely expected" to be among the candidates for a permanent new leader, according to a news release. Since last year, Deveny — a former senior leader at Summa — has been president of Locus Health, a company in Charlottesville, Va., focused on software to support population health efforts. Effective March 13, he will serve on an interim basis as Summa's board works to identify a new permanent president and CEO. Deveny replaces Dr. Thomas Malone, who resigned as president and CEO at the end of a tumultuous January after vocal opposition to a decision to not renew the contract of the independent physician group that had staffed its emergency departments for decades. Deveny recognizes that culture, trust, empowerment and physician relationships are the biggest challenges for Summa right now. He said he will address these issues with the same tactics that have served him well in the past: collaboration, engaging with physicians, giving people the ability to feel empowered and making clear the direction of the organization. From 2011 to 2016, Deveny worked for Catholic Health Initiatives in Colorado as senior vice president for physician services and clinical integration. In this role, he led population health initiatives and established 12 regional clinically integrated networks, according to the release. Previously, he had spent more than two decades in various clinical and senior leadership roles at Summa, including president of Summa Physicians Inc., vice president of clinical services and service lines, and chairman of the Department of Obstetrics and Gynecology. Board Chair James McIlvaine said that the board didn't have an identified candidate they felt would be ready to take on the interim position, especially considering that the recent turmoil would possibly make an internal choice more challenging. He said Deveny was the perfect fit: He meets their requirements; has a background in population health; knows the region, system and its employees — but was not involved in the turmoil of the past couple of months. "He'd been gone five years, which is long enough to separate him from all of the current issues, but it's still recent enough that many of the people he knows and worked with are still here," McIlvaine said. Deveny is a one-year contracted interim with an option for a second year renewal. He plans to find an apartment or condo for the time being. His wife practices medicine in Colorado and his children are either in school or graduating college around the country. Deveny said the unique circumstances at Summa make it the "opportunity of a lifetime for anybody." "It is a very healthy financially based company; it has great outcomes; it has a health plan, which a lot of other health systems are struggling to figure out how to create; it has a great history with medical education and it is a pillar of the community," he said. "So I would say you'd be a fool not to want to be considered for the role." McIlvaine said the board will determine its search process and plan within the next three to six months. "When Dr. Malone resigned, our first thought was trying to find an interim so that we could continue without as much disruption by finding someone who had knowledge of Northeast Ohio, knowledge of population health, knowledge of at least the health care interest in Akron and would have at least some passing familiarity with the people here," McIlvaine said. "We think we've hit a home run." Deveny, a graduate of Firestone High School in Akron, has worked on the board of Friends of the Summit (91.3 FM) and with the Ohio chapter of the American College of Obstetricians and Gynecologists. 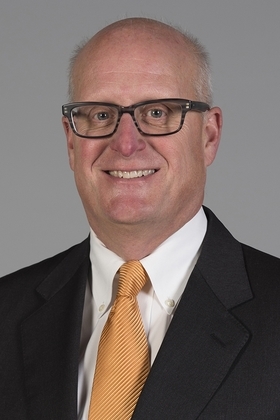 "Cliff is an outstanding leader with a reputation for collaboration, a proven commitment to medical education and a strong expertise in population health, all of which are critical Summa Health priorities," McIlvaine said in a statement. "Cliff will have full authority to lead the system and carry out the Board's vision for advancing population health, improving the health and wellness of our community, furthering our role as a key partner in Akron's revitalization, and transforming the culture of our organization."